When The McKnight Foundation wanted to help Greater Minnesota combat the devastating effects of the 1980s farm and mining crises, McKnight staff and board sought the advice of those living there. McKnight gave the generous seed money to begin six Minnesota Initiative Foundations to serve all counties outside of the Twin Cities metropolitan area. For 30 years, McKnight has been one of our strongest supporters and partners. Often it's hard for a person to get a clear picture of all the many ways West Central Initiative works for the nine counties we serve. That's why WCI staff and board rely on stories to make what we do come to life. Here at WCI we say everything we do is to strengthen the economy of west central Minnesota. These stories in particular show how we work with organizations to help businesses in our region thrive. WCI works with TSMA as a partner in business development and workforce development for manufacturers in west central Minnesota. 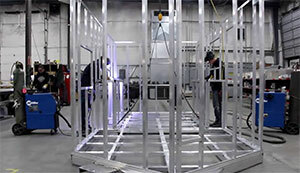 VIDEO: Meet one of West Central Initiative's business clients, Voyager Industries of Brandon, and learn how they have worked with WCI to help develop and grow their company. 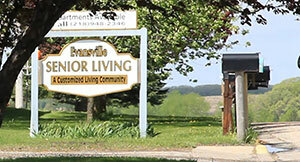 VIDEO: Dale Umlauf, WCI's Vice President of Business Development, and Arlynn Johnson, owner of Evansville Care Campus, tell how this senior care facility in the rural Minnesota community of Evansville was saved with the help of gap financing from WCI. Today this facility employs over 60 people, and provides an essential service to its residents and their families. The combined annual impact on the local economy from both the payroll and local purchases is almost two million dollars. Our hat's off to Evansville Care Campus. We're proud to play a role in their success! 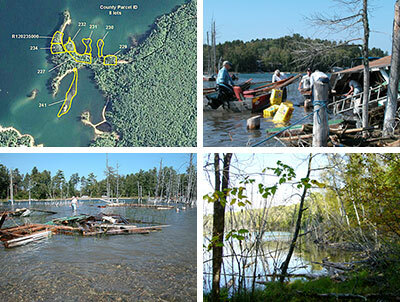 Learn about three projects funded partially through WCI's Competitive Workforce Grant. VIDEO: West Central Initiative has worked with DyCast Specialities, Starbuck, for several years through its loan and workforce training programs. 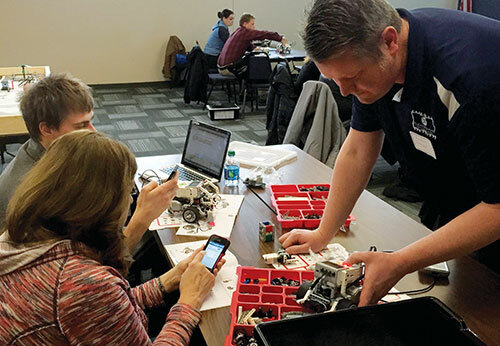 How Tri-State Manufacturers Association teamed with Enterprise Minnesota and West Central Initiative to bring world-class instruction to manufacturers in the region. 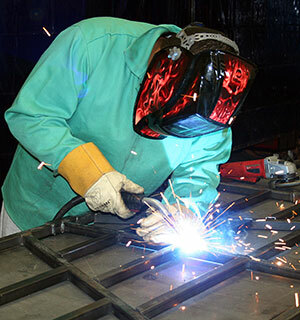 A WCI Competitive Workforce Grant helped M-State--Detroit Lakes, Detroit Lakes High School and manufacturers fund a school-to-work curriculum to prepare students for jobs in the Detroit Lakes area (originally published in 2013). 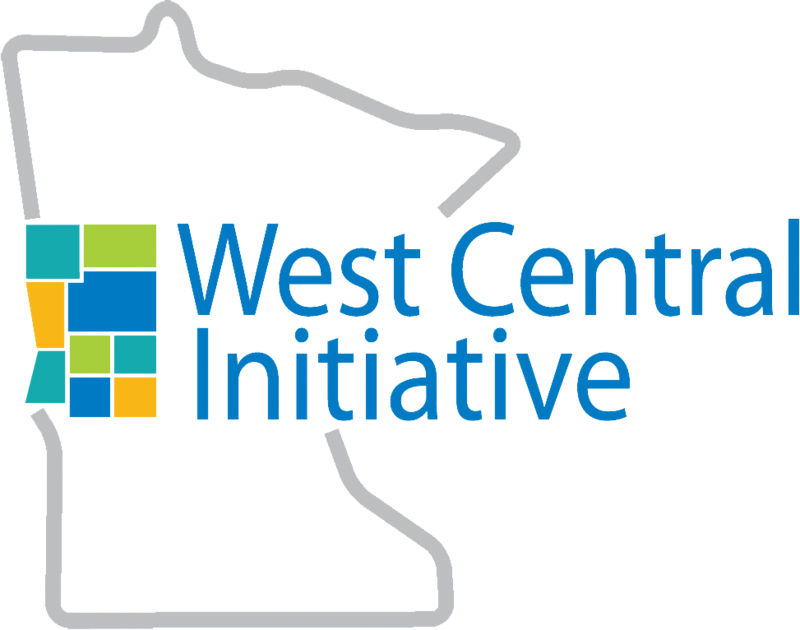 In west central Minnesota, many partners--including West Central Initiative-work hard to create an environment that encourages and nurtures the development of strong manufacturing companies and, by extension, a stellar manufacturing workforce. Dream It. Do It. is one such program. After two years of collaboration and research, 10 Greater Minnesota regional development organizations--including West Central Initiative--have released DevelopMN, a comprehensive statewide framework for regional economic development. You have a great business idea or hope to expand your business but you’re not sure of the steps to take? 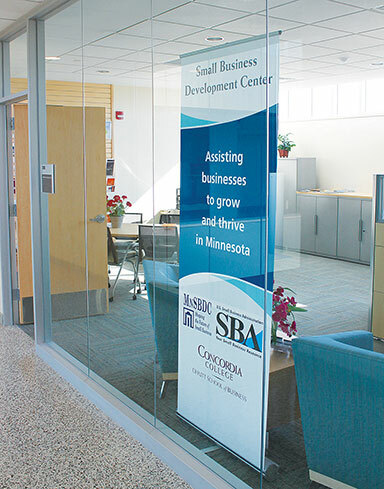 The West Central Minnesota Small Business Development Center (WC MN SBDC) provides free, one-on-one, professional, confidential business consulting for preventure, start-up and existing small businesses. Our communities are the heartbeat of our region. These stories share ways we've worked with communities to build leaders...and the next generation of leaders!  VIDEO: Learn about Leadership Alexandria, one of the community leadership programs that West Central Initiative helps support. 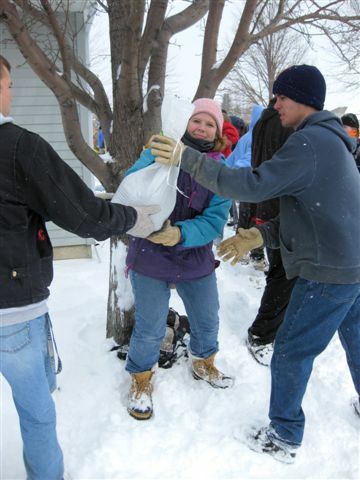 Leadership Barnesville is a six-month, skills-based leadership program where participants learn skills and gain perspectives that they can use in the community, their jobs and their family. 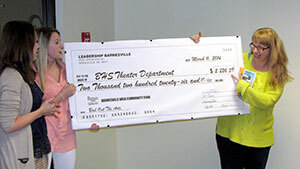 West Central Initiative provides a leadership grant to help fund each class. 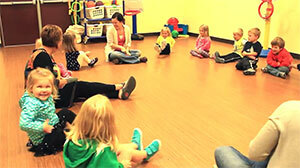 VIDEO: Nancy Jost, WCI Early Childhood Coordinator, explains the Early Childhood Initiative and introduces one of the 10 participating coalitions, Pope County. 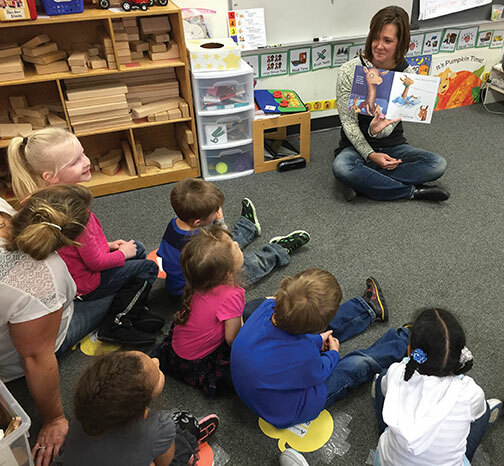 Local coordinators Jeannie Pederson and Cathy Kinney share some of the many ways WCI has partnered with child care providers in Pope County to help children thrive here. The PreK-3rd Grade Leadership Institute brings together teams of leaders from early childhood and early elementary education to develop a seamless, coherent PreK-3 educational pathway designed to improve outcomes for all children, especially for those with high needs. 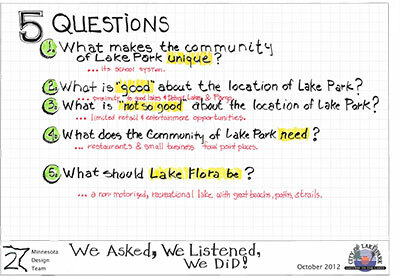 WCI's Community Mobilization Grant helped the City of Lake Park fund a visit from the Minnesota Design Team. 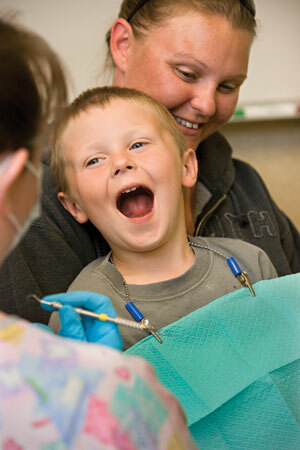 The Early Childhood Dental Network is made up of area organizations, agencies and Early Childhood Initiative coalitions that are passionate about providing oral health access and education, particularly for young children and their families. West Central Initiative convenes and facilitates the network. 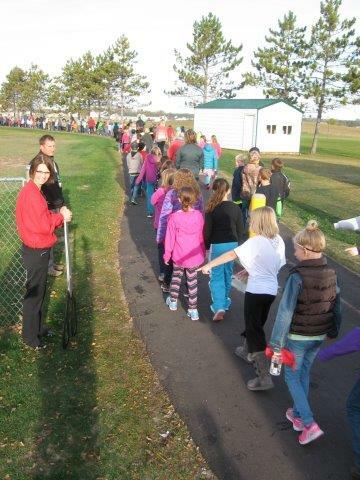 Area communities celebrate International Walk to School Day on amenities WCI helped plan through Safe Routes to School grants. 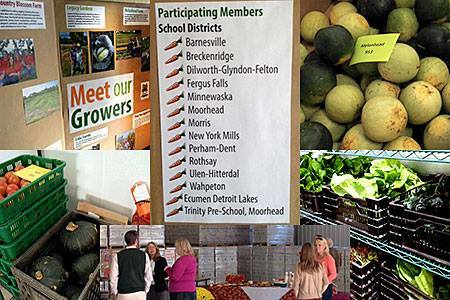 A community mobilization grant along with technical assistance by WCI staff helped Lakes Country Service Cooperative plan Fresh Connect Food Hub--a conduit that brings fresh produce from farms to schools and other institutions in west central Minnesota. West Central Initiative is part of a group of foundations working on disaster preparedness, called PPREP (Philanthropic Preparedness, Resiliency and Emergency Partnership). Through the power of philanthropy and people coming together for a common goal, dreams are coming true in west central Minnesota! 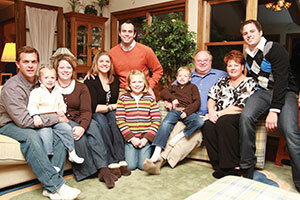 A single word steered one family’s decision to set up a donor advised fund with WCI: Share. It was a combination of forethought, thrift – and most of all care – that turned one person's gift into one that will touch many people for many years to come. 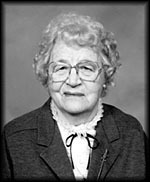 That one person is Inga Johnson and her gift was the Inga M. Johnson Endowment Fund. It is a gift that continues to give to the families of Fergus Falls and to the surrounding area, and it is one of which West Central Initiative is very proud to be a part. When a group of land owners on Bad Medicine Lake in Becker County wanted to keep their lake from becoming overly developed and help preserve the ecological integrity of the lake, they looked around for resources to help them. 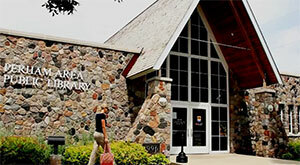 VIDEO: Through the words of librarian Susan Heusser-Ladwig and library volunteer Becky Stole, this video tells the story of how Perham Area Public Library established its endowment fund, with assistance from West Central Initiative. 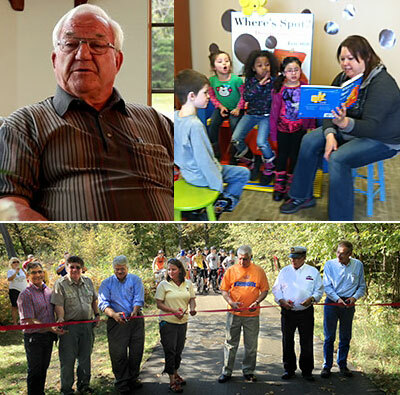 Kim Embretson, WCI's Vice President of Development, explains WCI's role behind the scenes, and how endowment funds for communities or organizations are part of WCI's commitment to enhancing the quality of life in west central Minnesota. VIDEO: After the devastating tornado of 2010 wiped out the county ballpark in Wadena, residents in nearby Deer Creek decided they would think big about their ballpark renovation to benefit the entire area. 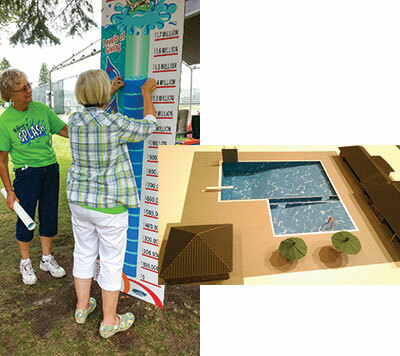 Through the Parkers Prairie Public Swimming Pool Fund, a WCI-administered component fund, residents of Parkers Prairie are working to turn a run-down but much loved swimming pool into an aquatic center that is accessible and even more fun! 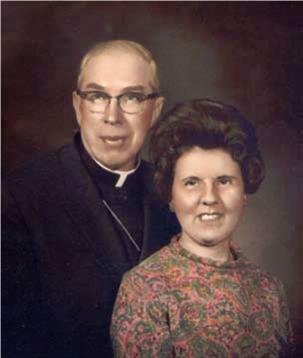 At his death in 2007, just two weeks shy of his 100th birthday, Floyd Miller devoted a significant amount of his estate to establish an endowment fund to benefit the community he called home for 50 years. Morrie Lanning served on WCI's first board, and is an example of the type of servant leadership that has had a lasting impact on the organization.